Delicious snacks and meals will be available courtesy of Brisbanecaters. Please note that dinner is only available if pre-ordered, and that tickets will be $10 extra at the door. We regret to inform that due to musician illness, accompaniment for Sriranjani Chandramouli’s dance performance will be recorded music, not live ensemble as previously announced. 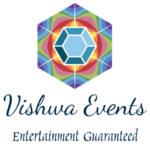 Sangeet Mela 2019 is organised by EthnoSuperLounge in conjunction with Vishwa Events and a committee of Indian classical enthusiasts. 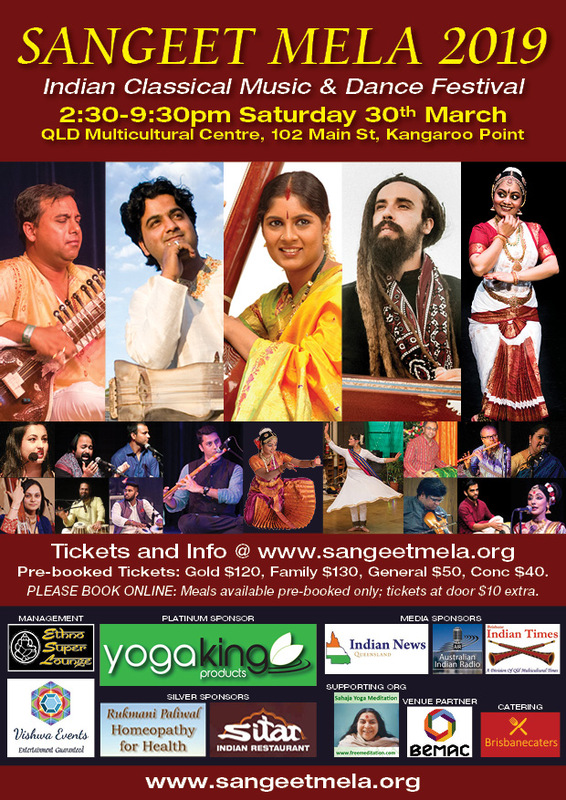 Thanks go to our platinum sponsor Yoga King, silver sponsors Sitar Indian Restaurant, Homeopathy for Health, supporting organisation Sahaja Yoga, private sponsors Sri Gurbir Singh and Dr Mansey Kinarivala, media sponsors Brisbane Indian Times, Australian Indian Radio, and Indian News Queensland, and venue partner BEMAC. hi, …how do we book tickets for the show on the 20th May?…many thanks, Norman Smith. Can we also perform in the rising star category for next year? 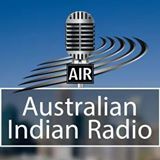 Performances in Rising Star category are by application, subject to the conditions on our Awards page. We’re not certain of the future of the festival, but if it’s held again you are most welcome to apply.